If a budget doesn’t include a meaningful pay raise for teachers and support professionals and additional funding to restore cuts to Oklahoma classrooms by April 1st, we’re ready for statewide school closures beginning April 2nd. We will be at the Capitol until a solution has been passed and signed by the governor. 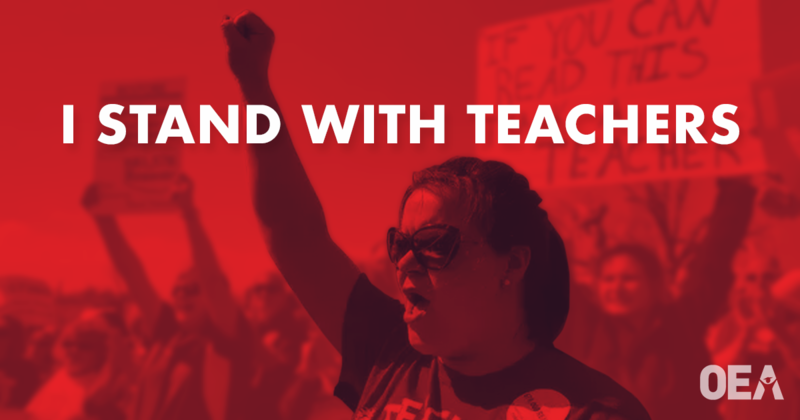 As teachers, support professionals, and community members, we want real change — and now is the time. No more waiting. No more empty rhetoric. It’s time for action. We want the legislature to make good on the broken promises of the past and finally invest in our future.